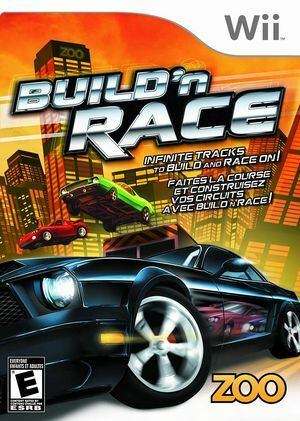 In Build 'n Race plot your own route to victory in this white-knuckle racer that lets you create custom courses packed with huge ramps, gigantic jumps, dizzying turns, stunt blocks, tunnels, and destructible scenery. Gun for the checkered flag in six game modes including Solo Race, Time Trial, and Championship, with in-mode events like Style Race, Lap Knockout and Speed Lap that give the challenge a turbo boost. Score points for strength by sending opponents into tailspins, scraping paint, and more, or score for style by catching big air and pulling off other stunts. Carve out the ultimate race course by combining over 1,000 building blocks to create your own custom tracks. The graph below charts the compatibility with Build 'n Race since Dolphin's 2.0 release, listing revisions only where a compatibility change occurred. This page was last edited on 12 October 2017, at 22:32.